The word dermatoglyphics denotes the epidermal ridge patterns of sole, palm, and fingertips. In early foetal life dermal ridge differentiation occurs. It is genetically determined, and is influenced by physical, topographical, and environmental forces. Probably, the blood supply and nerve supply also modulate the dermatoglyphic patterns. Recently the dermatoglyphic patterns have proved to be of diagnostic value in certain clinical disorders associated with chromosomal and developmental defects, like mongolism, mental retardation, turner syndrome, cardiovascular diseases, diabetes, and schizophrenia. 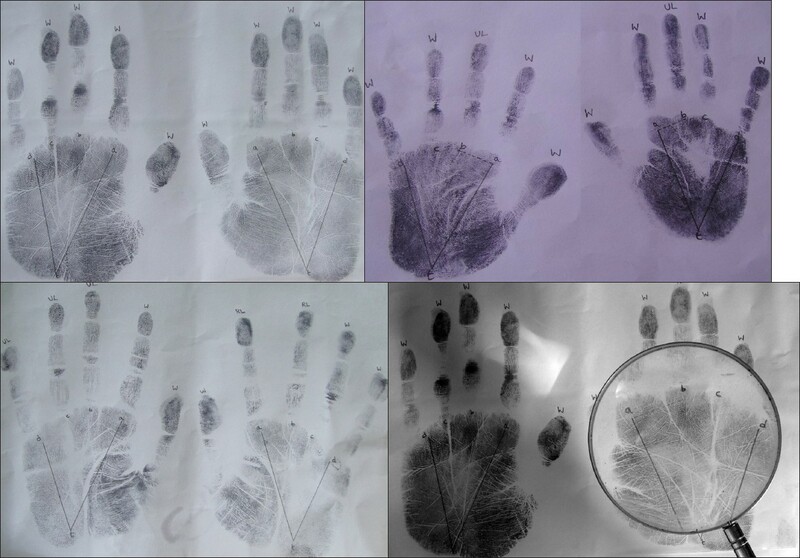 In the present study dermatoglyphic prints were obtained from 50 patients of bronchial asthma and 50 relatives of these patients. 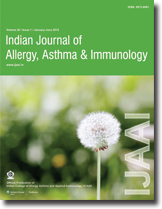 We have observed a statistically significant difference in the number of whorls on thumbs and a-b ridge count in comparison between bronchial asthma cases and controls. These parameters are also valuable in predicting the disease in the first degree relatives of patients. "Hepatodiaphragmatic interposition of small/large intestine" or "Chilaiditi syndrome" is a rare condition in which colon or small intestine is interposed (temporally or permanently) between liver and diaphragm. The syndrome is usually discovered by chance during the study of another event. The condition is often asymptomatic; however abdominal pain, abdominal distension, vomiting, anorexia, and constipation have previously been reported in clinical presentation of this rare syndrome. 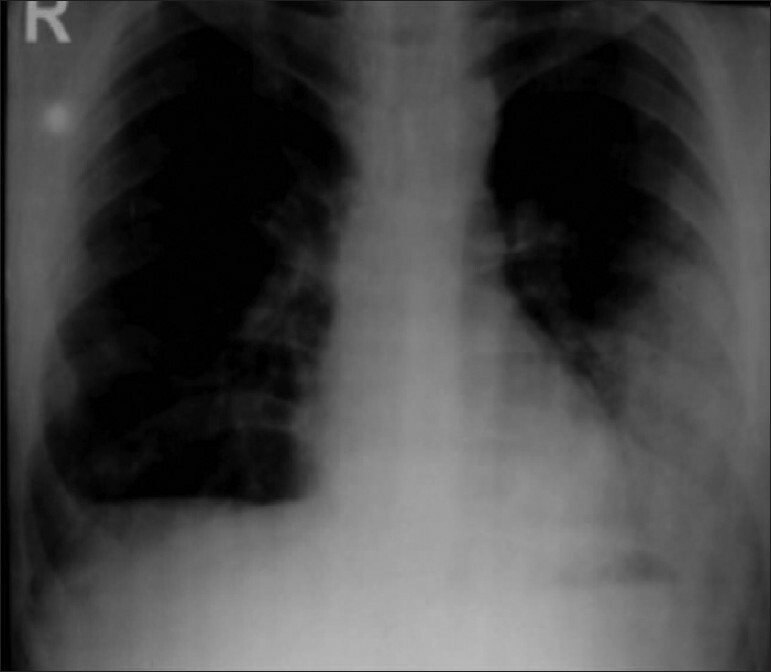 We report a 60-year-old female who presented in department of TB and Chest Diseases, S.N. Medical college, Agra with complaints of breathlessness, cough, constipation, and recurrent abdominal pain. 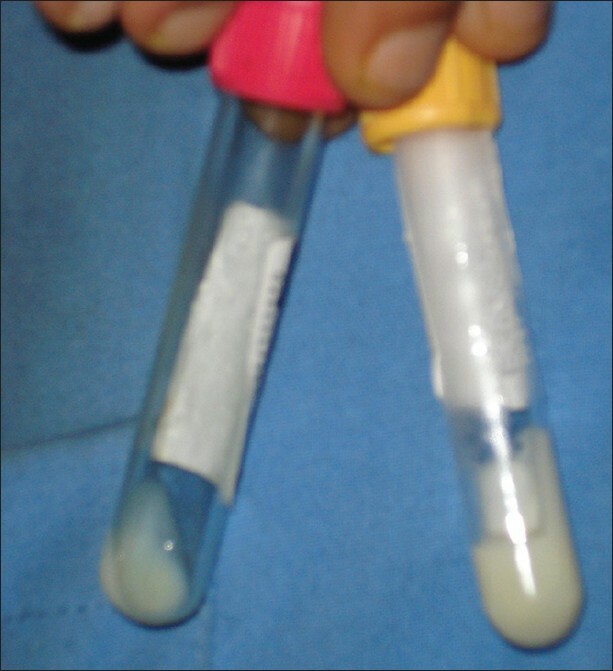 The patient is a known case of Asthma with marked peripheral eosinophilia developed recurrent haemoptysis and lung infiltrates. Bronchoscopic lavage and FNAC of lung showed pulmonary eosinophilia. Due to raised IgE levels and strongly positive pANCA, the case was diagnosed as Churg Strauss syndrome. He responded well to corticosteroids with complete resolution and is presently on the tapering doses. A 55 year old female patient, known asthmatic from past ten years, presented to us with history of breathlessness from past five days, cough with expectoration from past five days. On examination patient had severe bronchospasm, tachypnea, respiratory distress, silent chest and her SpO 2 75% on room air. Patient given conventional anti-asthmatics and antibiotics bronchospasm did not relive and SpO 2 did not improve therefore patient intubated paralyzed and put on control mode of ventilation with 100% O 2 patient SpO 2 was between 80 to 85% with persistent bronchospam. Patient continued to have bronchospasm for next 18 hrs even after continued antiasthmatics with steroids. After 18 hrs patient was started on i.v. Magnesium sulfate, 40 mg/kg bolus over 30mins. And 20 mg/kg infusion over 4hrs.patient responded within one hour of treatment bronchospasm decreased patient SpO 2 improved to 95%. Magnesium sulfate infusion continued for next 24 hrs patient was symptoms free, patient extubated observed for next 12 hrs and shifted out of ICU with normal clinical parameters. Hence it may be concluded that i.v. Magnesium sulfate can be considered for patient with acute severe asthma who do not respond to regular anti-asthmatics. Systemic autoimmune diseases are probably the greatest masqueraders in clinical medicine and dependence on laboratory testing is very high. Some of the antibodies directed to cytoplasmic autoantigens are well characterized, such as anti-mitochrondial, anti-ribosomal, anti-microsomal and anti-Golgi complex autoantibodies. Anti-Golgi autoantibodies are polyclonal and often mainly of the IgG isotype. We have detected cytoplasmic anti-Golgi antibody (AGA) and cryoglobulins in a 52 year old female admitted for hematuria and altered consciousness. She was a type 2 diabetes mellitus in urosepsis, with positive rheumatoid factor. Serum from the patient reacted to the Golgi complex by an indirect immunofluorescence technique on HEp-2 cells. The patient tested negative for viral serology and ANA. There were features of joint pain, absence of skin rashes, positive rheumatoid factor, negative ANA, positive anti Golgi antibodies along with features of sepsis. This led us to the diagnosis of Sjogren syndrome presenting with uremic encephalopathy and interstitial pneumonia. A positive anti Golgi antibody pattern must be looked for in an ANA negative patient with suspicious clinical features. We also review the earlier case reports on anti golgi antibodies available. 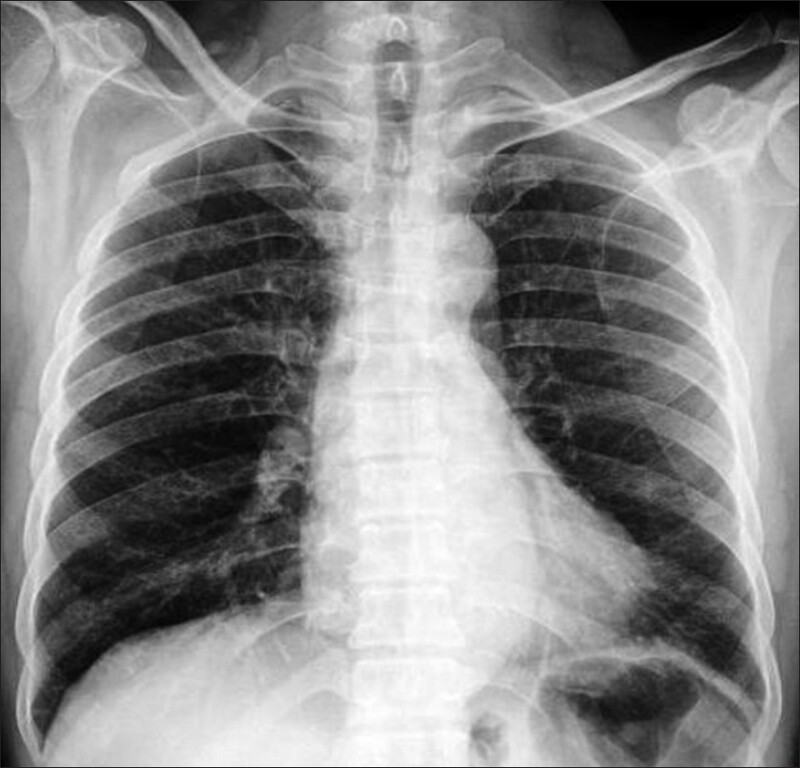 Allergic bronchopulmonary aspergillosis (ABPA) is known to complicate asthma and cystic fibrosis, but an association of ABPA with chronic obstructive pulmonary disease (COPD) has also been found lately. The mechanism through which ABPA operates is still an enigma. With the discovery of ABPA in COPD, interest in the theory that asthma and COPD could share a common etiology has been rekindled. Herein, we present the case of a 60-year-old male, diagnosed case of COPD, who reported exacerbations during the monsoons, which mandated frequent courses of systemic steroids. He was diagnosed to have co-existing ABPA based on positive skin tests to Aspergillus niger, A. flavus, A. fumigatus, and A. tamarii and raised serum total IgE and specific IgE against Aspergillus spp. 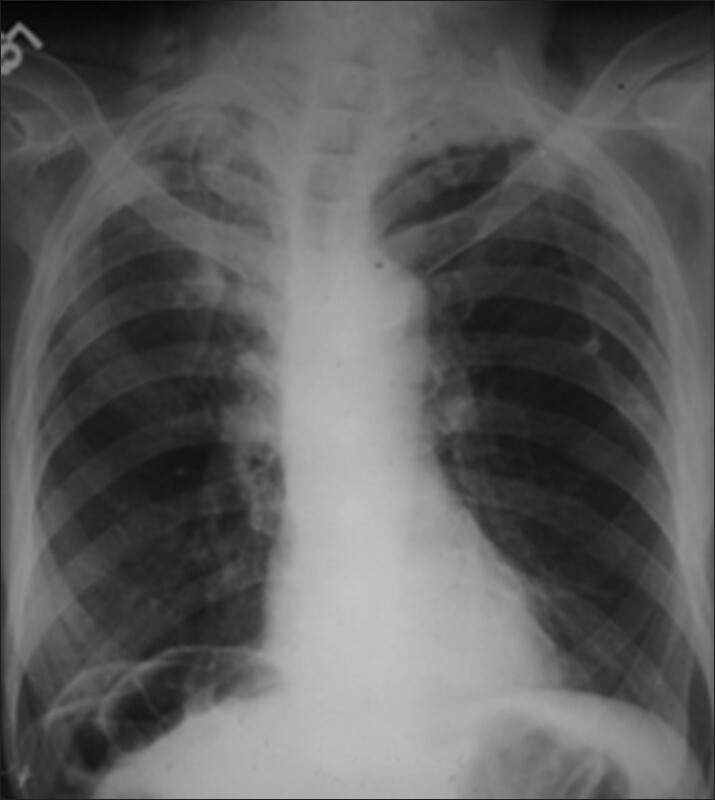 His CT scan showed centrilobular and panacinar emphysema along with central bronchiectasis. The spirometry showed a significant response to bronchodilators. The patient fulfilled all the minimal essential requirements for the diagnosis of ABPA, except asthma. The patient responded well to systemic steroids. This report makes an important observation that species of Aspergillus other than A. fumigatus could be instrumental in causing ABPA in patients with COPD, unlike that seen in asthma. The possible etiologic mechanisms underlying the development of ABPA in COPD and also the evolution of ABPA from its serological to bronchiectasis variant are discussed in this report.